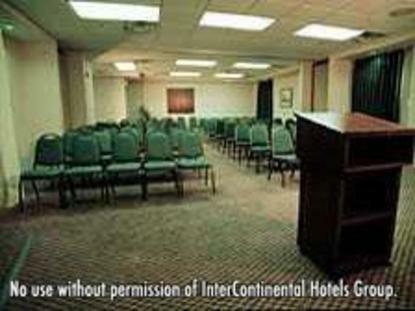 The Holiday Inn - The Crossings Antioch-Nashville is a full-service Holiday Inn located conveniently off Interstate I-24, exit 60, Hickory Hollow Parkway. Hotel is 1/2 mile from Hickory Hollow Mall, 10 miles from downtown area, and 15 miles from the Opryland area. Additionally, we are located 7 miles from Nashville International Airport with a complimentary airport shuttle available from 5:00 AM until midnight daily. Restaurant and lounge in hotel with room service available. Sales office on-site for group sales and meetings, with full catering services available. Free high-speed wireless Internet and TV Japan available in every room. Hotel is surrounded by a variety of shops and restaurants. Many recreational activities within 10 minutes of the hotel. Holiday Inn - The Crossings is a great location for corporate travel, within 5 miles of several business parks. Friendly staff, beautiful rooms, great food and where you will experience true southern hospitality Pet friendly. This hotel is committed to providing accessible facilities under the American Disabilities Act. If your accessibility needs are not met, please contact the Hotel Manager on Duty. Should you require additional information regarding accessible facilities for guests with disabilities, please call 1-800-Holiday (U.S. and Canada) or contact the hotel directly. For the hearing impaired, TDD service is available at 1-800-238-5544 within the U.S. and Canada.